An iPhone-free, untethered Apple Watch may be on the horizon, but watchOS will determine if it’s worth the extra monthly bill. Jason Snell explains. Location services without the iPhone? We're not there yet. However, if that added battery life was devoted to allowing the watch face to remain on most or all of the time, that would be a huge upgrade. I’d put “always-on screen” on my wish list for sure. But let’s get back to the other half of that WSJ report: “cell-network connectivity.” That’s very interesting. It’s inevitable that every wearable device will eventually be constantly on the global internet, but at first glance, it seems a bit soon for the Apple Watch. In the features Apple added to watchOS 2, though, you can start to see an attempt to make the Apple Watch a bit more independent. It can now connect to Wi-Fi networks on its own, without its paired iPhone, and access data over that network. This is a very limited feature, but it’s undoubtedly the start of a long drive toward independence. It needs to operate when the iPhone isn’t around, or is shut down. 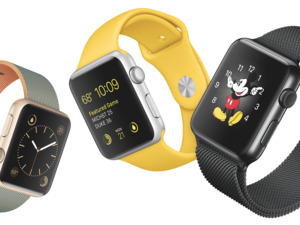 Right now, the Apple Watch is an iPhone accessory. Over time, that must change. It needs to operate when the iPhone isn’t around, or is shut down. Ultimately it should register itself with iCloud and receive notifications from your other Apple devices and the Internet without being tethered to any specific device. This is why Apple would add cellular connectivity to the Apple Watch: Once the device is able to fend for itself, watchOS (and watchOS apps) can expand their horizons. 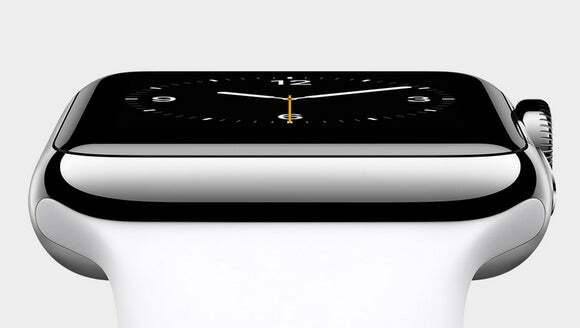 I admit, however, that I’m a bit concerned about adding an Apple Watch to my existing cellular plan. Do I really want to pay an extra $10/month to add my Apple Watch to the constellation of devices attached to my AT&T Wireless account? And yet, that may be what’s going to happen. There are a few Android smartwatches out there with cellular connectivity. A few carriers have added explicit support for wearable devices: T-Mobile has a wearable data plan and AT&T is happy to sell you a LGWatch Urbane connected to its cellular network. More intriguing is the idea that if you leave your phone at home, your watch could still take calls. New features like AT&T’s NumberSync make that possible, ringing the watch at the same time that the phone rings. 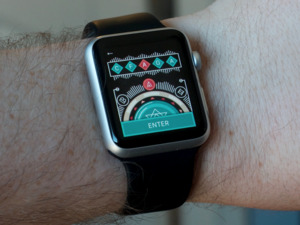 Would it be worth it to spend $10/month adding cellular connectivity to the Apple Watch? It depends on what you use it for. Right now, the Apple Watch isn’t independent enough to make such a feature worth it, but a future version of watchOS could change that. Active people would probably love to be untethered from their phones while still being connected to their data. There’s one other approach Apple could take with cellular data on the Apple Watch, though, and I do wonder if Apple has considered the idea. 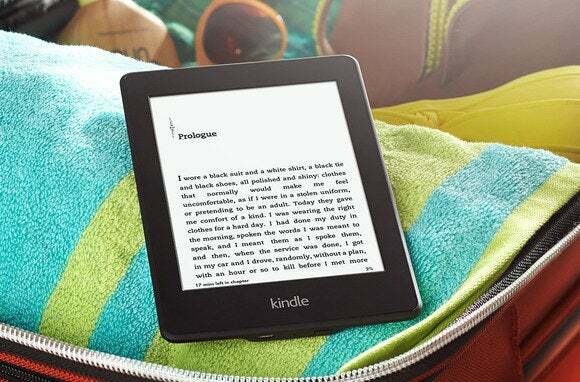 For a while now, Amazon has offered two models of Kindle, one with only Wi-Fi and one with support for cellular networks. The buyer of the Kindle pays extra for the cellular model, but there’s no wireless bill after that. Amazon's Kindle deal doesn't have a monthly fee for cellular service—you just pay more up front for your cellular device. How does Amazon make this work? Good deals with cellular providers, generally on lower-speed networks that aren’t at capacity. Amazon also tightly controls what data the Kindle is able to access, and charges content owners or users a fee for delivering files via the cellular network. The advantage of this approach is that on these Kindles, cellular access is essentially transparent. It just works, and for no ongoing charges. As the controller of the watchOS platform, Apple could tightly constrain what data across the cellular network, and cut deals with wireless providers to build in access. It could avoid nasty SIM cards entirely and offer only reprogrammable Apple SIM access to the network. It’s an appealing idea, but I’m afraid that perhaps the days of deals like Amazon’s with the Kindle are over. Wireless companies appear to be working hard to offer services that are appropriate to wearable devices, in return for the ability to add yet another monthly recurring charge to your phone bill. Apple’s path of least resistance might be to embrace the $10 add-on and features like NumberSync. I’d prefer Apple go its own way and make the connectivity transparent, but it might not be possible. 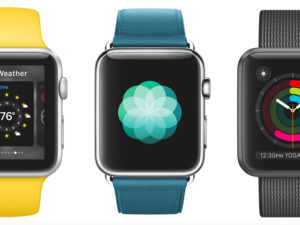 But in any event, does a cellular Apple Watch make sense? I guess I would say it does—assuming that Apple makes some major changes in watchOS 3 to make the device its own thing, rather than what it is now—a satellite that’s a lot less useful when it’s not taking its cues from an iPhone.